Do you want to help your students identify and articulate those things that make them unique? Transition your students from school to career by helping them to discover their passions desires and put their dreams into action. 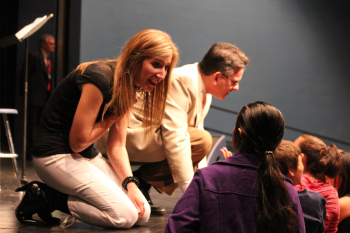 Enrichment Through the Arts is a creative and interactive musical program where students connect and identify with dedicated and accomplished professionals. They will be motivated to discover passions, develop talents, and follow dreams with enthusiasm and purpose in order to achieve goals. Marvin and Vanessa use music – a language with universal appeal, to engage students. Music is an essential part of their presentation and the message is applicable to all interests. Help to inspire your students to identify and explore the options available to them by contacting us today.